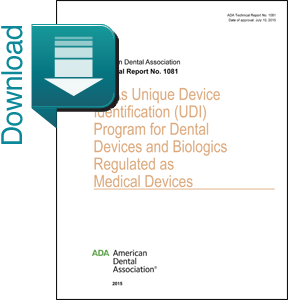 (DOWNLOADABLE PRODUCT) This paper covers the UDI Rule (78 FR 68786) and device marking regulations in 21 CFR 801.45. It does not cover the regulations for medical device tracking found in 21 CFR 821. There is no tracking requirement within the UDI rule.